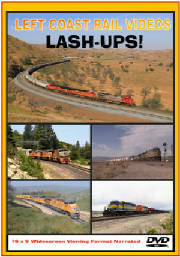 Digital video shot at Union Pacific’s Tehachapi Pass/Mojave Subdivision from Mojave to Sandcut. 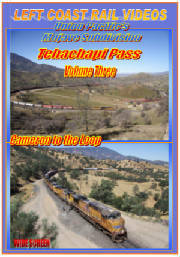 Digital video shot at Union Pacific’s Tehachapi Pass between Cameron and Tehachapi Loop from video taken on two different railfan trips in October 2011. 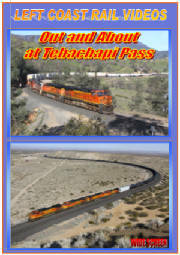 Locations include: Woodford, Turnnel 2, Tunnel ½, Caliente, Marcel, Tunnel 17, Tunnel 1, Tunnels 4-5, Warren and Tehachapi Museum/Depot. 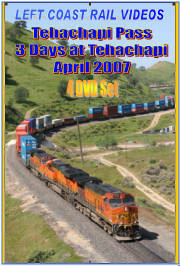 High Definition Blu-Ray, 62 Trains, 22 locations/vantage points, 16:9 wide screen viewing format and 2-3 camcorders used for most trains. 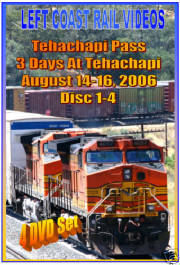 Click for details Tehachapi! 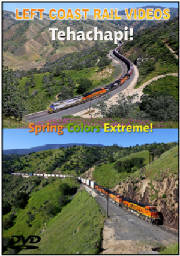 Spring Colors Extreme! 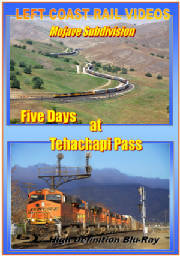 BNSF and UP non-stop action during peak spring colors at Tehachapi Pass. 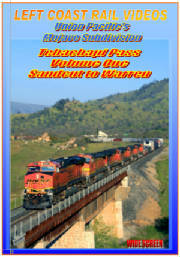 We take you to vantage points off the beaten path and some instances not for the faint of heart. Available both on DVD and Hi-Definition Blu-ray. 16x9 widescreen viewing format. 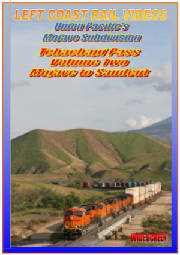 BNSF and UP action at Tehachapi Pass, southern California in the Spring of April 2007.